A resource that provides an introduction to the theory and practice of writing social stories. It also includes examples of successful stories to use as guides, as well as information and photocopiable resources for delivering training on the use of social stories. It is based on detailed work carried out in homes, schools and pre-schools. An inspiring, engaging and really dynamic student introduction to disability studies, from an author with an excellent reputation in this growing, interdisciplinary field. The Oxford Handbook of Learning and Intellectual Disability Nursing is a practical, easily accessible, informative and up-to-date quick reference guide for students and practitioners of intellectual disability nursing who require guidance on the specific nursing care needs of patients with a learning or intellectual disability. A presentation of research on disability in 2003, this text provides extensive coverage on the development of thinking cultures of disability; development of the social model of disability; disability and the politcs of social justice; and media treatement of disability, amongst other issues. The Supporting Person-centred Thinking and Planning in Learning Disability care quality guide aims to help health and social care staff and carers refresh, develop or extend their learning in key areas of practice. Disability Politics and Community Care encourages health and welfare professionals and policy makers to start working much more closely with disabled people themselves. He presents practical suggestions for the changes necessary for the proposed reorganisation of service provision which will re-define direct work with disabled people. In this long awaited new edition Oliver draws on his own experiences to paint a vivid picture of both the practical challenges of disablement and the theoretical understandings of disability. This approachable text is core reading for social work, nursing, health and social care and social science students taking modules in disability studies. Guides social work and social care students through working with disabled people. Unique in its aspirational, outcomes-focused approach. 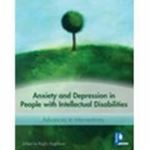 This exciting new handbook draws on the experience of a wide range of authors to present a rich and informative exploration of the nature, manifestation and presentation of anxiety and depression in individuals with intellectual disabilities, and discusses the challenges and obstacles facing those who work with them. A follow-up to the inspirational Overcoming Multiple Sclerosis documenting how 12 people around the world have changed their lives by altering their lifestyles. Provides an invaluable introduction to the concerns and controversies surrounding disability and disability studies. The arguments presented in this book have important political and policy implications for both disabled and non--disabled people. Contains contributions from established figures, as well as newcomers to the field. Understanding disability policy explores the roles of social security, social support, poverty, socio-economic status, community safety, official discourses and spatial change in shaping disabled people's opportunities. Suitable for students and practitioners working at various levels, this book provides comprehensive coverage of the skills and knowledge needed to work with people with learning disabilities in a variety of settings. Based on the author's own experience from over thirty years in the field, this thought-provoking book offers a comparative study of services for people with intellectual disabilities in seven countries. This handbook helps professionals working with adults with intellectual disabilities to establish the needs of individuals through systematic assessment and to monitor and evaluate the effectiveness of the service they provide. A comprehensive handbook for professionals working with adults with intellectual disabilities. Draws together a fascinating collection of essays written by experts from a wide range of health and social care services. By incorporating the views and experiences of disabled people the book can challenge traditional perseptions of disability. Combining a disability rights and a feminist perspective, and based on in-depth interviews with disabled people in a range of circumstances, this book explores the experience of receiving help with daily living activities. In so doing, Morris challenges the rhetoric of community care policies. People with learning disabilities are affected by significantly more health problems than the general population and are much more likely to have significant health risks. This book aims at increasing professional awareness of the importance of health promotion activities for people with intellectual and developmental disabilities. Updated edition of the author's Disability rights and wrongs. Disability: a Life Course Approach provides students and teachers with easy access to many of the most important current disability issues and debates. It provides a clearly focused account, and bridges some important gaps in the existing disability literature by including issues relevant to disabled people of all ages. A detailed and up-to-date overview, this book provides an authoritative overview of the main issues in the field around the world today. Consisting entirely of newly commissioned chapters and arranged thematically, it surveys the state of the discipline, examining emerging areas as well as core areas of contention. Bringing together a range of expert voices to tackle the essential topics relevant to the study of disability from a social perspective, this interdisciplinary introduction includes over 50 chapters relevant across health and social care. Learning disability nurses play a leading role in the care and support of people with learning disabilities. Learning Disability Nursing explores the theory and practice of learning disability nursing, with an emphasis on understanding the experiences of learning disability nurses as they seek to practice effectively. Providing real insight into the experience of working with clients with progressive disabilities, this book uses dialogue, with thoughts and feelings in boxed comments, to illustrate the person-centred approach. 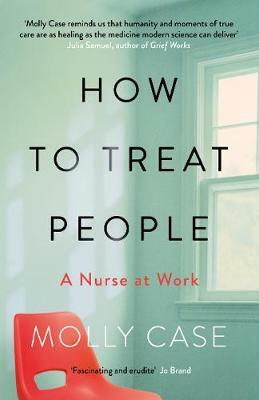 This book examines aspects of care such as training, ethnicity, sexuality and competence in practice. Topics include the nature of touch, how physical contact is intended and experienced, carers' duty of care, and risk management. The book also explores management considerations of best value, care standards, performance monitoring and inspection. This timely book provides a reflective analysis of person centred planning for people with learning disabilities, complementing policy initiatives that focus on individualised planning and service user involvement. Drawing on practical experience and research findings, the contributors explore policy and practice issues. Learning Disability Policy and Practice: Changing Lives? Highlighting examples of positive, evidence based practice throughout, this book explores working with people with learning disabilities at all life stages. With contributions from people with learning disabilities and their families, its person-centred approach illustrates how policy can be translated into practice with life-changing consequences. 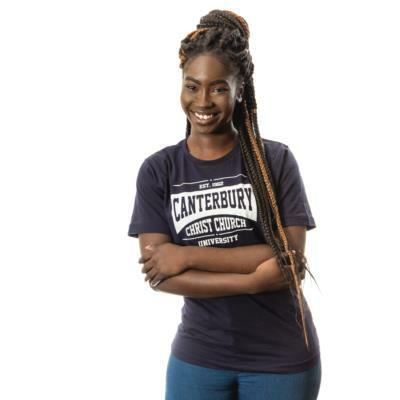 In recent years, there has been much greater sympathy for the benefits of dedicated, secure accommodation for those suffering from more severe forms of mental illness. This volume challenges the recent scholarship and focuses on a wide range of factors impacting on the care and confinement of the insane since 1850. Offers real ways to improve quality of experience for people with learning disabilities in all areas of life. This title reflects practice developments including the impact of changing policy and legislation on the nature and configuration of services. * The previous editions of this book have been extremely successful, with nearly 80,000 copies sold to date. * Of the 6-7 million children receiving special education in the U.S. , the clear majority are considered Learning Disabled. This book will help you to complete the Communication in Health and Social Care unit of the level 2 Diploma in Health and Social Care. This book will help you to complete the handling information units of the level 2 and 3 Diploma in Health and Social Care. Will enable you to provide good support to people with a learning disability and can be used towards a range of level 2 qualifications.